Our tours start from Yekaterinburg or other Ural city. If you prefer extremal and fun adventure with local team – you are on the right place. We are a team of enthusiasts who believe that Moscow is not all Russia. And we should open different parts of our country for foreigners. 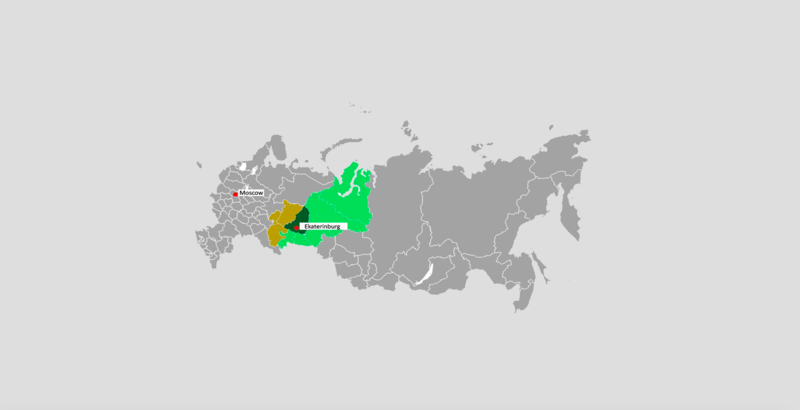 The Urals (Russian: Ура́л) are a geographical region located around the Ural Mountains, between the East European and West Siberian plains. It extends approximately from north to south, from the Arctic Ocean to the bend of Ural River near Orsk city. The boundary between Europe and Asia runs along the eastern side of the Ural Mountains. Yekaterinburg is the capital of the Ural Federal District. Private or groups city tours with professional local guides in Yekaterinburg! Thanks to Opem Ural we had two great tours to the Urals. We went to go to Shunut Mountain on the Petrovich, which was great. We were even been given time to drive this monstertruck. The next day we went on a quad tour, which was also very cool. Overall, I must say that thr Urals are really worth seeing and are much better than expected. Special thanks to Tatiana. She really made our tour. We will definitely return to Ekaterinburg and we will then for sure book with Open Ural again!! Thanks!!! It was great, our guide, Elana was very knowledgeable and made sure we were all comfortable and having fun. The up and down Yekaterinburg included a visit to underground construction from the Soviet era and I felt like I was in one of those tv adventure shows, very exciting and interesting. That part of the tour requires some physical activity, change into a special gear that is provided, but it is worth the effort. We really enjoyed the visit to Yekaterinburg and will definitely recommend it. The Church of All Saints included a visit to the forest where there is a Monastery Complex and the old burial place where the Imperial family bodies were found. We are a team of enthusiasts who believe that all kinds of travelling must be maximum exciting, active and various. We organise tracking and driving tours in different difficulty levels for those who just want to become closely acquainted to new experience or for those who shares our passion.